Let’s see…a glass of wine equates to 5 fluid ounces, so two glasses would be 10 ounces. That’s less than half a bottle, which has 25 ounces. But if I usually drank the whole bottle, I’d be gaining weight and probably damaging my health. Plus, I’d probably be addicted to alcohol. It’s interesting how too much of a good thing can be really bad for you. The games are fun, engaging, and exciting. Players strive to prevail against challenges and achieve goals. They can be a hero in the virtual world of the game. The sense of accomplishment can boost self-esteem. They can play the games with their friends. Virtual reality affects the brain the same as ordinary reality. Exciting challenges stimulate the production of adrenaline and cortisol. These natural reactions subside if the event is momentary. But cortisol build-up in brain cells caused by prolonged stress can kill brain cells in the hippocampus (memory and learning) and prefrontal cortex (the smart part of the brain). Normal development of the prefrontal cortex could be disrupted. Once addicted, the child will find it almost impossible to give up gaming for healthy, productive activities. As problems build in normal life, self-esteem is degraded. The most exciting and addictive games are the shooter games. Minute by minute, hour by hour, a child’s brain is exposed to countless emotionally-charged images of killing people–great for the video game industry, awful for the young gamer. Do you think your child has enough maturity and self-discipline to drink alcohol in moderation? 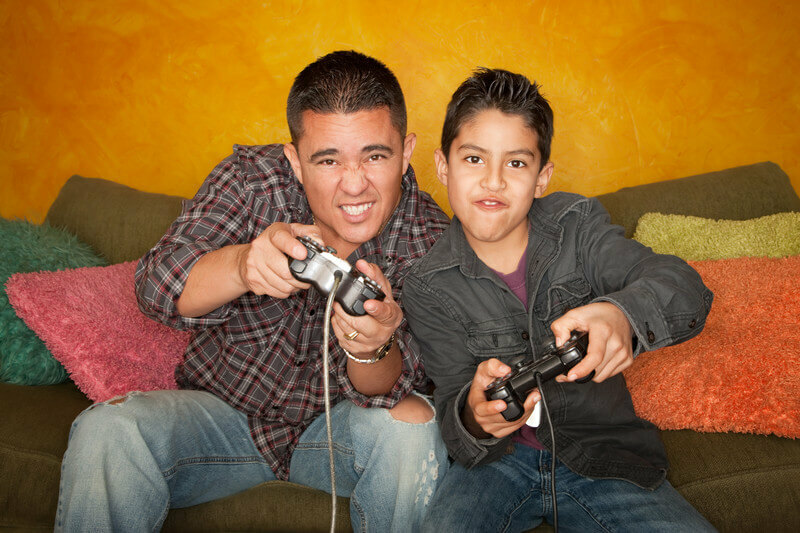 Do you think your child has enough maturity and self-discipline to play video games in moderation? Moderation is half an hour a day, or maybe an hour if your child is a top student. So no, they can’t handle it without your help – rules, boundaries, monitoring, and consistently enforced consequences – to prevent excessive exposure to gaming screens. It may come to you as a surprise that something so much fun and promoted so thoroughly in our culture can be so toxic. Back in the day, cigarettes were promoted to young people. Everyone thought smoking was cool until research revealed that it caused lung cancer. The tobacco industry didn’t care; they hired their own scientists to come up with their own research. Without federal regulations, cigarettes would still be promoted to young people. The background of this issue is discussed at length in Chapter 6 of my book, How Your Teen Can Grow a Smarter Brain.